Penn State hockey will be captained by rising senior Brandon Biro, the program announced on Tuesday, Biro was voted into the role by his teammates. Kris Myllari and Liam Folkes will serve as alternates. Biro served as an alternate captain this season and becomes the seventh Nittany Lion captain in program history and the second from Alberta as David Glen wore the C during 2015-16 season. During the 2018-19 campaign Biro finished with a career-high 16 goals and 24 assists and was named an All-Big Ten Honorable Mention selection as well as earning NCAA First Star of the Week in February and a pair of Big Ten weekly honors throughout the year. Biro’s 91 career points are currently sixth on the Penn State all-time scoring list while his 31 goals and 60 assists rank tied for ninth and third all-time, respectively. Myllari, has been a defensive leader for the Nittany Lions and his 17 goals are now the all-time leader for a defenseman at Penn State while his 52 points and 35 assists ranks tied for fifth and seventh among blue-liners, respectively. Two seasons ago a then sophomore Folkes took a pair of then freshmen in Evan Barratt and Alex Limoges under his wing as the trio formed one of the most lethal forward lines in all of college hockey. 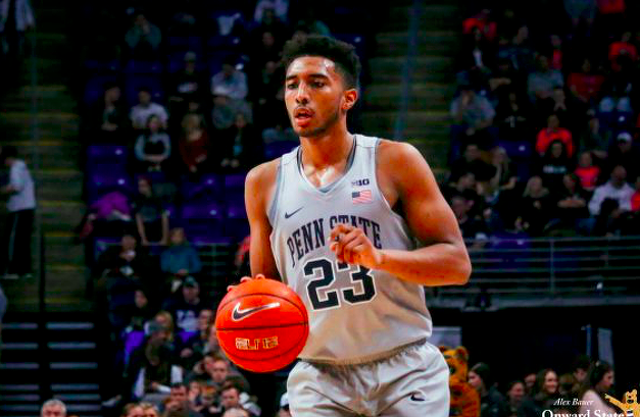 Now, heading into his senior season, he will don an ‘A’ for the first time in his storied career as a Nittany Lion. Folkes is coming off a career season in 2018-19 where he set career-highs in every offensive category with 18 goals and 24 assists for 42 points. Folkes also set a Big Ten Tournament record with 10 points in five games this past March scoring four goals while adding six assists. Playing tandem with Evan Barratt and Alex Limoges, Folkes added his services to the line for a combined for 53 goals and 70 assists for 123 points in 32 games paired together during the 2018-19 season. Penn State has not yet released its 2019-20 schedule.